The track is based near Daytona International Speedway. With NASCAR coming to town, many stock car racing fans were hoping to swing by the dirt track and check out Tony at the new stage in his career. Stewart will not attend Volusia. His lack of attendance stems from a dispute regarding parking and placement of the merchandise trailer. “If you’re around Daytona come watch us race at Volusia Speedway racing with the ASCoC tonight and tomorrow. We’ll be at Bubba Raceway Friday and Saturday. 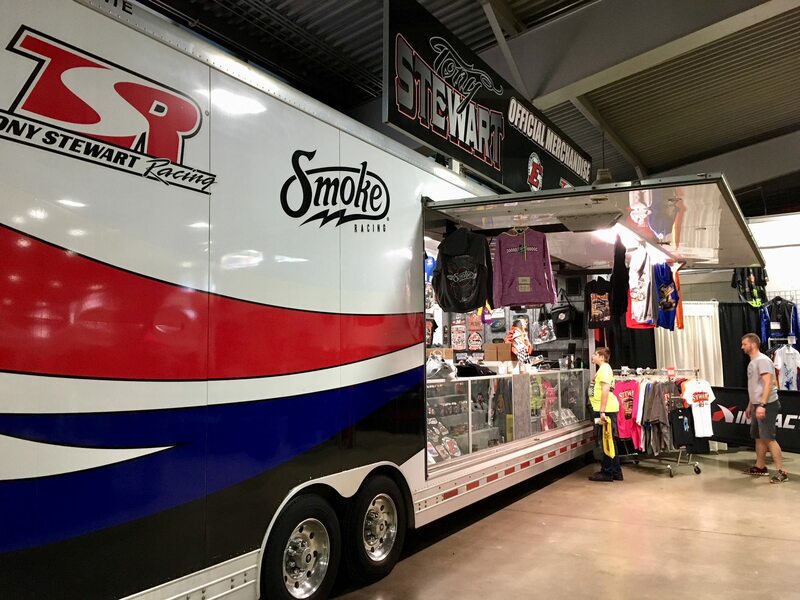 We’re not allowed to bring our tshirt trailer for you fans to World of Outlaws races so we won’t race with them this year,” Tony Stewart said via twitter. Why can’t Tony Stewart park his merchandise trailer at the track? For the record, I understand their point. But, at the same time Tony Stewart brings a larger crowd to the dirt track. More people at the dirt track means more people at the merchandise area. I just felt an urge to point out the basic economics. While he’s not a full-time driver for the series, he is a full-time owner. Tony Stewart fields a full-time World of Outlaws Craftsman Sprint Car Series team. Donny Schatz, the defending WoO series champion, drives the #15 car fielded by Tony Stewart Racing. Schatz will continue to run the WoO tour. As of now, it’s only Tony Stewart that has pulled his name from the entry lists of all WoO Sprint Car races. It’s hinted that only World of Outlaws Craftsman Sprint Car Series regulars are allowed to brings their merchandise trailers to the vendor areas. Instead, Tony Stewart will be running with the All-Star Circuit of Champions in 2018. That’s a 410 Winged Sprint Car Series owned by Tony Stewart himself. Last night, the ASCoC tour ran at Bubba Raceway Park. Tonight, is round two at the Ocala, FL dirt track. Kyle Larson, Kasey Kahne, Dave Blaney and Rico Abreu all raced last night at Bubba Raceway Park. Schatz outran them all, winning the 30 lap main event for Tony Stewart Racing.